The Barton Reading & Spelling System is a complete tutoring system based on the Orton-Gillingham multisensory approach. The system is designed for tutors to work with students over ten levels, each level comprising several lessons. The tutor receives full training with each level and requires no other qualification. The system is ideal for parents to use with their own children at home. Each level includes a kit containing lesson notes, training videos and manipulatives (tiles). 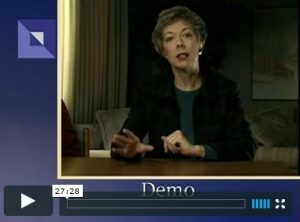 Click the following image to see a demonstration video presented by the program’s developer, Susan Barton. Barton Reading and Spelling kits can be used in conjunction with selected A.C.E. resources. Kits are available for loan only to Accelerate Christian Homeschooling members.